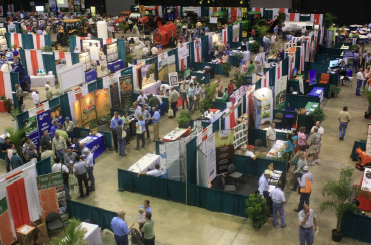 The Citrus Expo in Fort Myers had record attendance. 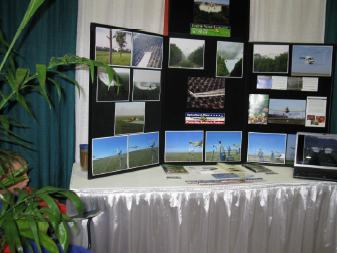 Our booth provided the opportunity for us to talk with many people who had questions about aerial application. We handed out business cards for the Operators that provided us with them. Note my “good helper” is behind the plant in the picture on the right. My grandson, Jared, was happy to help man the booth when I needed a break. He was great help to us during the set up and tear down. Even though this show falls at a busy time of year for all of us, it’s worth while to keep a presence with the growers.